The subtle free ridges facilitate the easy opening and closing of the container. These are available in various colors and sizes. The designs of the caps may also vary. These caps can withstand high temperature and keep the nail paint safe and prevents it from drying. 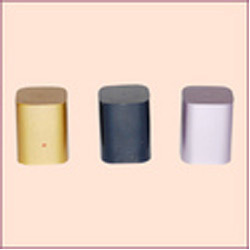 The Cosmetic Industries avail these products from us in large numbers. We "Plasti Krafts" Located at Delhi (India), procure good quality plastic from our certified vendors of India. They are thoroughly examined & inspected before actually putting them for the production purpose. Our world class manufacturing facilities & talented team of professionals geared by creativity and innovation leave no stone unaltered in providing maximum product satisfaction to our customers located all over India. We also export our products in Nepal.